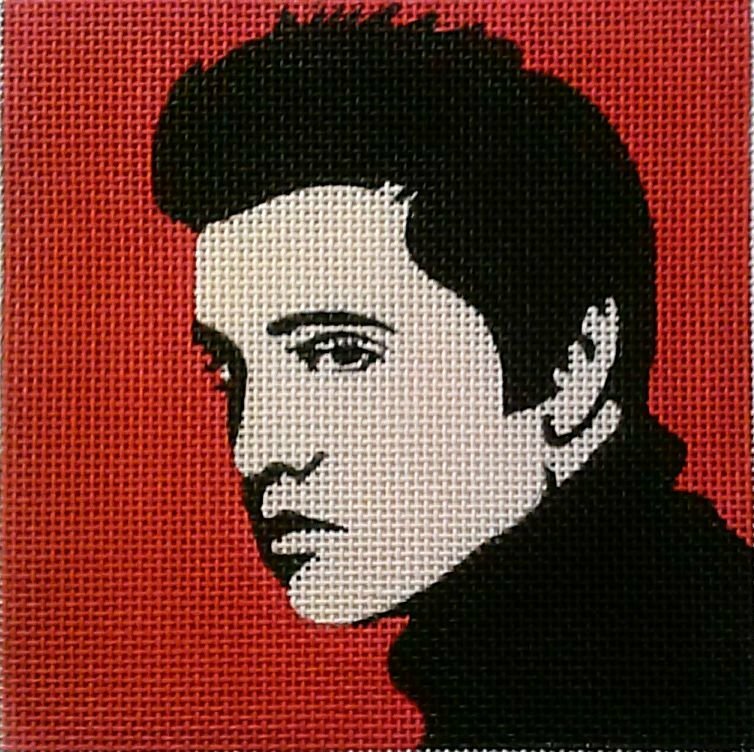 This pop art needlepoint design of Elvis is handpainted onto 13 mesh mono Zweigart needlepoint canvas. You can purchase this design canvas-only or with fibers. If you select cotton we will send DMC embroidery floss; if you select wool or silk we will send Planet Earth boutique fibers. 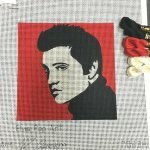 This design is suitable for a beginner stitcher. If you wish to purchase stretcher bars we recommend two pair of 10".